Lately i kinda have a thing for denim. Quite odd, 'cause i have been ignoring denim for the past years. I just didn't like myself in it, felt looking so plain-jane, while i think others can truly rock a jean. But designer Isabel Marant started a charm offensive this season and i have to say i am really into the tie-dye and ombre denim turning up now. I already bought a pair of very light tie-dye pants from Mango (see here) but it is just as easy to fix a pair yourself. 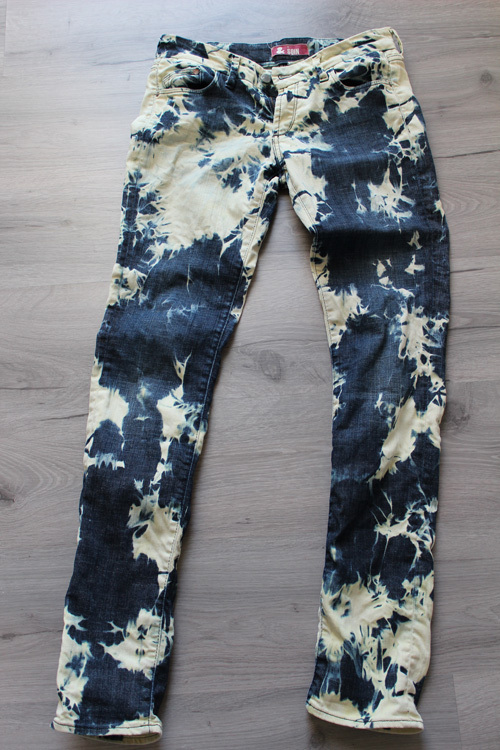 So last weekend i did some serious denim DIY-ing, see here the result. 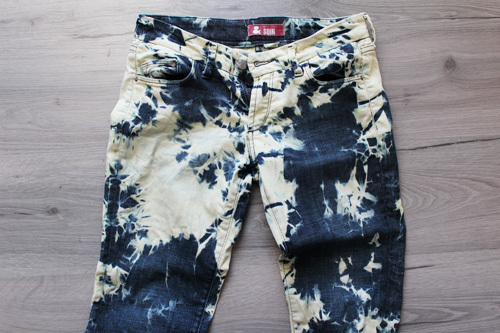 Did you already wear, buy or DIY a tie-dye denim? Please feel free to leave me a comment! I'd love to read what you think and appreciate you taking the time to write me some. we are going dutch. Thema Eenvoudig. Mogelijk gemaakt door Blogger.